Be the first to hear about their new releases and deals. 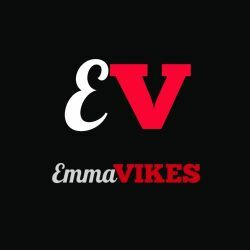 Download the Booksprout app and search for Emma Vikes today! Emma Vikes is a passionate author who used to work in the corporate world, but didn't like it. So she quit and became a housewife. Then she got bored to be a housewife too, and thought of pursuing her hobby, which is writing. Emma became obsessed with the world of erotica once one of her friends introduced her to this genre few years back. She got instantly hooked and turned into a voracious erotica reader, until she became so fascinated that she couldn't resist writing her own erotica stories to sooth her own fantasies.